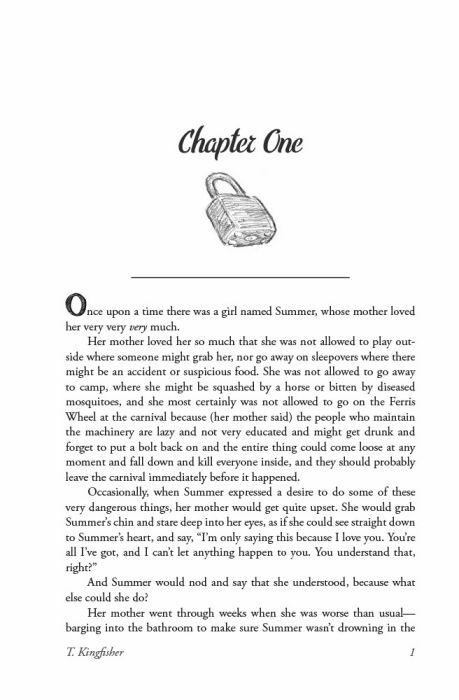 Summer is a perfectly ordinary 11 year old girl with a perfectly ordinary, needy, over-protective single mother. She always does what she is told and has become very good at listening and consoling her mother’s fears, but finds the experience increasingly exhausting. 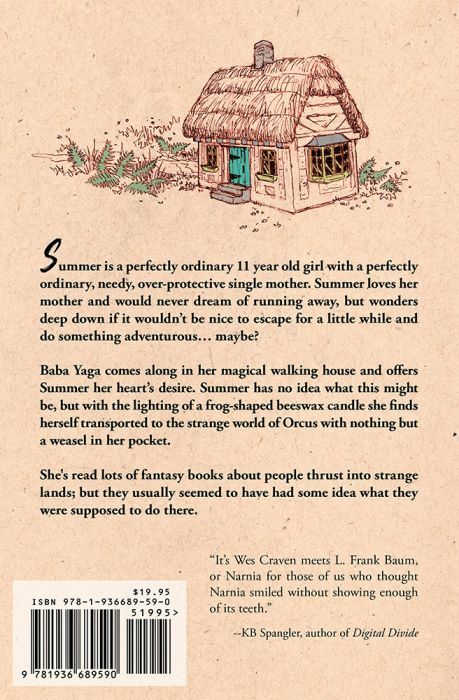 Summer loves her mother and would never dream of running away, but wonders deep down if it wouldn’t be nice to escape for just a little while and do something adventurous… maybe? 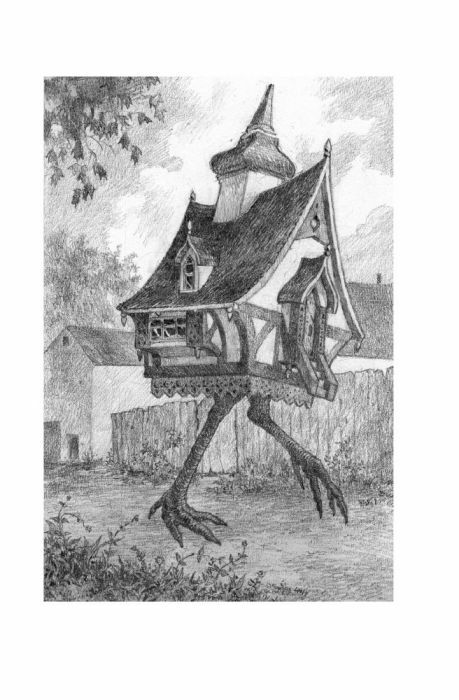 Along comes the crone Baba Yaga in her magical walking house, who spies Summer through the alley gate and offers to provide her heart’s desire. Summer has no idea what this might be, but with the lighting of a frog-shaped beeswax candle she finds herself transported to the strange world of Orcus with nothing but a weasel in her pocket. 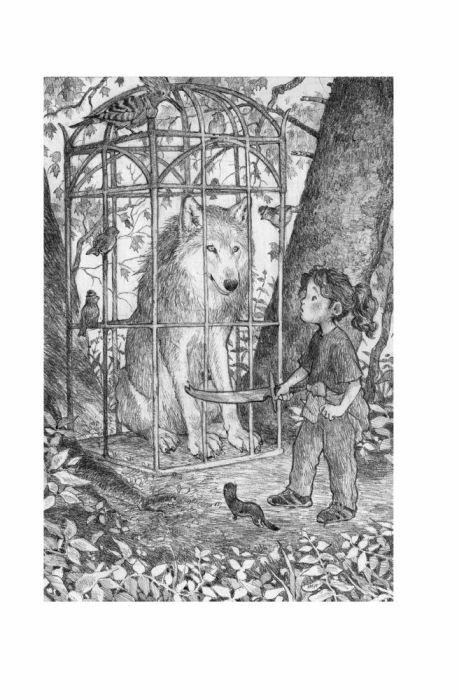 Like any girl of her age, she's read lots of fantasy books about people thrust into strange lands; but they usually seemed to have had some idea what they were supposed to do there. 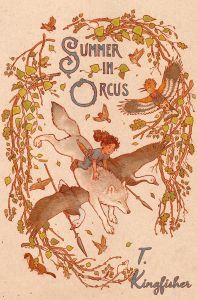 Join Summer as she attempts to follow glimpses of turquoise across Orcus with the help of a weasel, a wolf with a house problem, and an aristocratic hoopoe with a penchant for trouble. Along the way she just might figure out what she is looking for, save a wondrous thing, and realize that some of the talents which she takes for granted are mighty useful indeed. 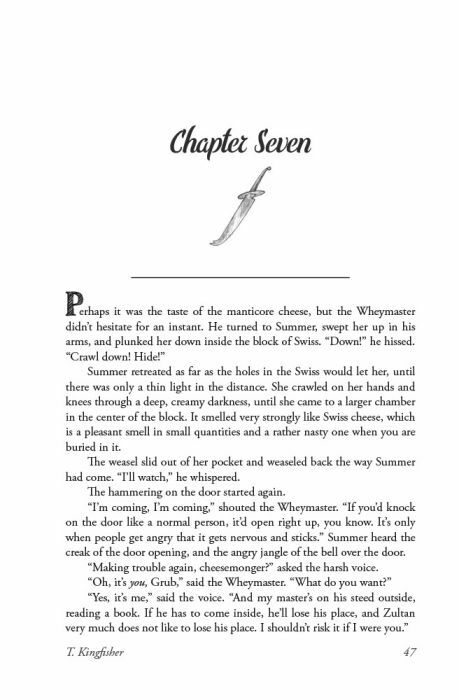 Summer in Orcus is a young adult portal fantasy novel by author T. Kingfisher. Originally released as a free web serial sponsored by her Patreon supporters, it was made available in print form via our successful Kickstarter campaign. The book features an enchanting cover and interior illustrations by Lauren “Luve” Henderson. The Softbound Edition is perfect bound and printed B&W on 60# white offset paper with a 10pt matte laminated color cover. The Hardbound Edition is perfect bound and fully cased in with library-quality durable bindings. Printing is B&W on 60# white offset paper with paper-wrapped boards, a foil stamped title on the spine, and a matte laminated color dust jacket. "Summer’s mother is way too protective, and kind of damaged, and achingly human in a way that ends up doing a lot of harm while trying to do the exact opposite." “This is for everyone who hasn't forgiven Aslan, or Glinda, but understands now what was really happening." T. Kingfisher shares a remarkable resemblance (and frequently identical spatial coordinates) with Nebula and Hugo Award winning author and illustrator Ursula Vernon. Ms. Kingfisher is best known for her often innovative fairy tale re-tellings, including: The Seventh Bride (based on Bluebeard), Bryony and Roses (based on Beauty and the Beast), and The Raven and the Reindeer (based on The Snow Queen). What Ms. Vernon is best known for depends on your point of view. Children may know her best for her acclaimed book series Dragonbreath or Hamster Princess. Speculative fiction readers should know her for her many published short stories, including the hauntingly beautiful Jackalope Wives and Pocosin. People from all walks of life will almost certainly know her from the web comic turned Hugo Award winning graphic novel Digger. People with ears may have been lucky enough to hear her podcasts Kevin and Ursula Eat Cheap or The Hidden Almanac. Finally, gardeners will probably have learned not to ask her opinion on potatoes. Ms. Kingfisher lives in North Carolina with her husband, her garden, and their many disobedient pets. She is fond of both wombats and sushi, but not in the same way, and has an unhealthy obsession with mulch.